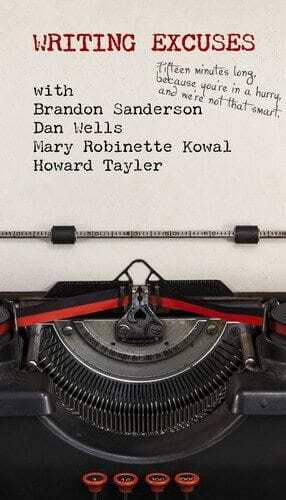 Exposition is one of the most important skills in a writer’s arsenal. Whether you do it subtly through implication or by stating things plainly in long passages, how you tell readers about your world maters. This is especially true in science fiction and fantasy, where those readers need to understand how your world is different from our own. A C Macklin, aka Everwalker, has already written an excellent post on the fundamentals of exposition, so I won’t repeat what you can read elsewhere. But I want to talk about exposition as a matter of skill, and as a matter of taste. Three of my more recent reads have shown very different approaches to exposition. In Cold Magic, Kate Elliott uses large paragraphs of narrative and dialogue to explain the workings of her world. 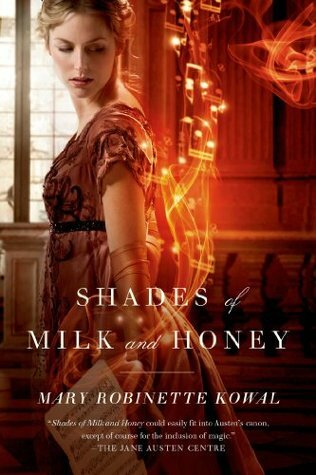 Mary Robinette Kowal, in Shades of Milk and Honey, subtly lays out the world through implications and small references. In Lavie Tidhar’s The Bookman, the reader is presented with a huge mass of detail and left to disentangle it, with references to history and other books helping to give these elements meaning. I enjoyed all these books, but Mary Robinette Kowal’s approach to exposition was the one I enjoyed the most. It’s tempting for me to say, based on that, that’s she’s better at exposition than the other two. But on reflection, I don’t think that’s the case. I think it’s a matter of the writer’s style and the reader’s taste. I’m not going to argue that all books are equal. Even within different styles, some authors are far better than others, and Elliott, Kowal and Tidhar are all excellent at what they do. But the enjoyment of a book doesn’t just lie in the skill of the writer – it lies in a relationship with the reader, and in what they want. I like my exposition subtle. I’ve been trained that way through years of genre reading, among other influences. Some others like to have things clearly laid out for them – it’s more accessible. For me, a big chunk of explanation disrupts reading. For others, a small reference that isn’t explained straight away, and that for me builds the world, will throw them out of the story because it doesn’t make sense. I can also be put off by books trying too hard to prove that they’re smart. I love to see a few references to other texts or events – an appearance by a disguised Sherlock Holmes, a real political upheaval. But when the book is reliant on those references for its meaning, when they come thick and fast as in The Bookman or Umberto Eco’s The Prague Cemetery, it gets in the way of my reading. The thick mass of references others like to untangle leaves me wishing that the story had more to stand on in its own right. I feel like the writer’s showing off rather than entertaining me, but that’s probably not a fair assessment – they’re entertaining people with those dense layers of reference, those people just aren’t me. So what, I hear you cry? So then, as readers, we should be cautious about saying that a piece of exposition is bad, and instead ask whether it does what it aims for well, and whether that’s to our tastes. And as writers, we need to think about what style of exposition will suit our books, our readers and ourselves. Because, like so much in life, this isn’t about good or bad, right or wrong. It’s about the rich variety of human tastes, and that’s awesome. I haven’t always been a fan of big fantasy books. If a novel comes labelled ‘First in the Epic Saga’ and is heavy enough to kill a charging rhino, odds are I won’t even read the blurb. But over the past year or so, my mind has been changed. Thanks to the excellent recommendations of programmer, folk rocker, horseman and general renaissance man Glenatron, I’ve discovered that some of these hefty tomes aren’t just a perfectly passable way to fill a fortnight’s reading. Some of them are – and I’m overcoming years of prejudice to say this – really worth your time. 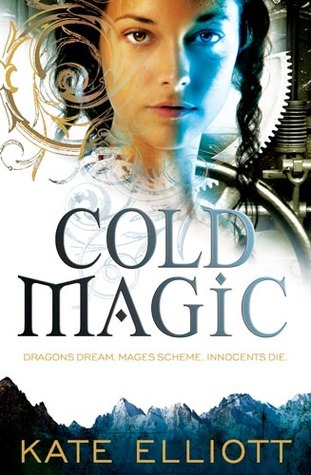 Cold Magic by Kate Elliott, despite one central flaw I’ll get to later, is one of those books. Set in a very different 19th century Europe, Cold Magic is the story of Cat Barahal, a young woman weeks away from adulthood. Taken from her family as part of a long standing magical and political pact, she finds herself in the hands of a powerful house of sorcerers. These cold mages form an alternate aristocracy alongside the traditional lords and princes, their authority entangling in messy, complicated ways. Their political schemes soon threaten Cat’s life, as well as that of her beloved cousin Bee, and it’s up to Cat to… oh, you get the idea. Cat is a likeable if prickly protagonist. Like Jane Austen’s heroines, she’s written in such a way that the reader realises things she doesn’t, even though the story is written from her point of view. Getting that right takes skill, and it’s a skill Elliott has clearly mastered. But the biggest appeal for me about this character is the way that she is presented as a woman in a gendered society. Some fantasy authors address the gender inequality of feudal societies by simply ignoring it. That’s fine, you can do what you want with your world, but it means we miss out on exploring the consequences of inequality. Others just take it for granted and provide no female characters with real control over their lives – not a great example to current and future generations. Elliot does something I like far more. She presents an unequal society, and then shows how Cat deals with the consequences of that inequality. From the social order of her school to the prejudice against a scarred female veteran, gender imbalance is in the details as well as the big picture of Cat’s arranged marriage and assumed disposability. But both she and Bee empower themselves despite that, and that makes for a great character in an interesting setting. That setting is one of the biggest draws of this book. As Elliott writes in the back, it was inspired by a long world building exercise that she carried out with others, and that attention to detail shows. Climate, geography, politics, economics, social norms – so much is revealed, and it’s all fascinating. There are elements of fantasy, like the feathered trolls, alongside steampunk airships. There are spies and intrigues, wars and treaties, two thousand years of history impinging on the present. It cleverly winds strands from real history into the mix. The classical references are nice, but it was when I realised who the infamous General Camjiata represented that things fell into place for me. 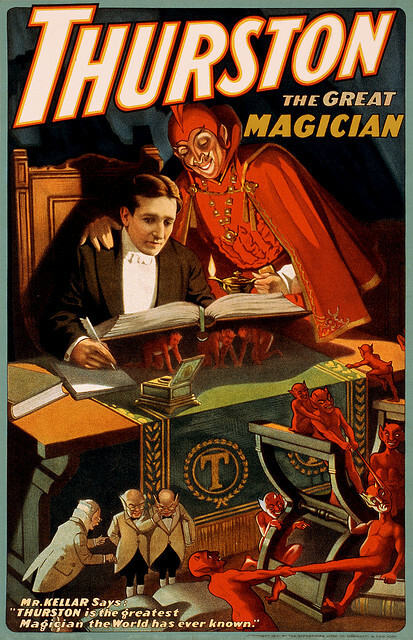 Most interesting to a social lefty like me was the depiction of society beyond that scheming elite. We see the pervasive oppression that comes with a long standing feudal hierarchy, just like the one that dominated in early 19th century Europe. We also see the horrors of factory life, the way that the transformations of the Industrial Revolution led to a whole new kind of oppression for the vast majority of people. And we see the reactions against this – riots and revolutionary plots, the sort of stuff that left me white-knuckled with excitement when studying 19th century history. These aren’t things I’ve seen a lot of fantasy novels, and I look forward to seeing their consequences explored in the rest of the series. Having said all of that, the loving and detailed world building also leads to this book’s big flaw – exposition. Elliott has built a wonderful world and quite rightly wants to share it, but sometimes the explanations get clunky. The plot will grind to a halt for two pages of background on ancient wars. Sometimes characters will explain things they have no real reason to explain, in a manner usually reserved for the least charismatic university professors, just to get information across to the reader. And much as I loved the world these sections presented, the way they presented it threw me out of the story and made it feel less real. I’m going to come back to this in a future blog post, because I want to compare it with some other approaches, one of them equally problematic in a very different way. And it may be less of an issue for those accustomed to reading those rhino-slaying fantasy tomes – after all, this is one of the things that puts me off epic series fantasy in general. But if you’re going to have a problem with the book, this will probably be it. By now it should be obvious that as a reader I liked this, and that I’ll be reading more of this series. But what did I learn as a writer? Learning from others’ mistakes, it was a reminder of the disruption exposition can cause, and just how carefully it has to be handled. There are far worse offenders where this is concerned, but it’s a useful reminder. As for what Elliott gets right, there’s so very much. How to position a strong-willed female protagonist in an unequal society. How to use hints of history for richer world building. How to reference other things without it becoming smug or putting the reader off. How to weave an intricate tangle of events for the protagonist to fall into. I’ll be mulling this one over for a while, and that in itself counts as a recommendation. How authors reveal their fictional worlds can be very telling, both about their worlds, about their writing, and about the way we read genre fiction. I’ve just started reading Mary Robinette Kowal’s Shades of Milk & Honey, a fascinating book that combines the social whimsy of Jane Austen with magical fantasy. There’s a lot to be said about this book, and I may say more of it another day. There’s also a lot to be said about the author, who has repeatedly shown herself to be one of the most entertaining and insightful figures on the modern fantasy scene – if you want proof then go listen to a couple of episodes of the Writing Excuses podcast. But one of the first things that struck me was a matter of geography. Early on, characters make reference to living in the vicinity of Dorchester. ‘Aha,’ I thought, ‘my mum lives in Dorchester, and she likes a bit of local interest, maybe this could be a way to get her reading fantasy?’ My mum found the first Lord of the Rings film boring, so getting her into fantasy is quite a challenge. But then I stopped and thought for a minute about the way this book works. From the start the magic, called glamour, is worked into the story. This is done not through explanations and exposition, but by a steady trickle of references and a series of moments showing glamour in action. For me, as a regular fantasy reader, this is perfect. It’s done with subtlety and care, weaving an understanding of the world around me rather than dumping it down in thick expository slabs. But that works for me because I’m a regular fantasy reader. One of the conventions of the genre is that new ideas and elements in the world are referenced from the start, but not directly explained unless that becomes necessary, letting the reader work it out for themselves. To someone who’s less used to the genre this could be frustrating. They might get annoyed at all these unexplained references, or not have the genre experience to piece the puzzle together and work it out. It could be baffling rather than pleasing. Genre literacy is just like any other form of cultural literacy – it allows access to a heightened experience of the genre, but can lead to works that frustrate others. Just look at modern art – what’s meaningful to an aficionado is largely lost on me and downright ugly to my gran. Similarly, really well written fantasy can, by creeping steps, become less accessible to others. I’ll probably lend Shades of Milk & Honey to Mum at some point. I’m curious to see how accessible it is to her, and if it sparks an interest in fantasy literature then that will give us something in common. In the meantime I get to enjoy a cleverly written book. What do you think? Do you think well written fantasy is usually accessible fantasy? How do you like to see worlds revealed? And if you’ve read Mary’s Glamourist Histories what did you think of them? Quick reminder, my science fiction collection Lies We Will Tell Ourselves is still free on the Kindle until the end of tomorrow, 22 November – go get some free reading, see how subtle or not my world building is. For Ubu, the gladiator life is short and brutal, but in the shadow of the arena there is a chance for something more. I know that a lot of people like to listen to their books rather than read. 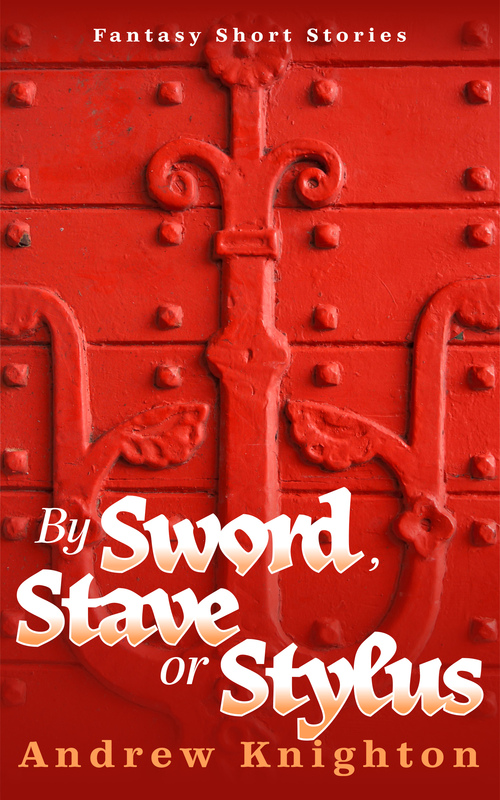 And as it happens the first story in By Sword, Stave or Stylus is already available to listen to. When Wily Writers originally published ‘Live by the Sword’ they included an audio version. So if you’d like a chance to listen to the first short story in my new collection, or just to read a bit of the collection before you buy, then you can check it out over on Wily Writers. By Sword, Stave or Stylus is still only 99c for the next week, and the Wily Writers recording is free, so why not give them a go? And while I’m pointing you towards other reading, I’ve had a couple of guest posts this week on other blogs. Over at the Steampunk Journal I’ve written about moving buildings in steampunk stories, while at Alt Hist I’ve written some more about the challenges of world building for alternate history. If you have time please check them out. I wasn’t sure what to expect going into the ‘Building the same old world’ panel at FantasyCon. Based on the panel description it could have gone two different ways – focusing on the mechanics of world building in fantasy fiction, or focusing on diversifying the worlds we build. In the end it was an interesting mix of the two, thanks to the excellent panellists. These were…. Camille Lofters – the panel moderator and a PhD student who is dealing with world building in her thesis – how cool is that as a subject to study? Foz Meadows – a YA fantasy writer and one of the people who most impressed me over the weekend. Peter Higgins – writes epic fantasy based on 20th century Europe. Kate Elliott – a guest of honour at the con and writer of all sorts of speculative fiction. Camille did a great job of moderating a panel for the first time, keeping the conversation flowing without intruding too much with her own views. One theme that came out early on was the tension in world building between presenting the familiar to draw people in and the unfamiliar to interest them and make a fantasy world. As Camille pointed out, deviating from accepted reality risks confusing and alienating readers, and so you have to be careful how you do it. It’s important not to try to change everything, but to give readers things they understand. All the panellists found exploring imaginary worlds useful in writing, whether to create a lens for exploring contemporary issues as Foz does, or to tell stories Kate couldn’t read when she was young. Discussion turned onto the concept of presenting more diverse and unusual worlds, combining conversations about world building with ongoing debates about representation in fantasy. It’s hard to argue with the fact that the majority of fantasy is built from a male Euro-centric perspective. It doesn’t take long for debates about this to get angry, and that was something Camille directly raised. As Foz pointed out, people who are used to seeing themselves constantly represented get confused and angry when this changes, as their expected representation has been taken away – this reminded me of Sue Archer’s guest post here on the lack of women in genre blockbusters. Kate gave some great insight into how to approach this sensitively. We should like what we like and be courteous about what we read, because other people will like it even if we don’t. What’s comfortable to read varies from one person to another, and it’s useful to think about whose comfort is being defined in any story. Peter also drew a distinction that we easily forget but that’s important when talking about fantasy – the difference between fantasy and fantasizing. Fantasy is things like a dragon, an imaginative creation empty of defined reality, that the author can shape and readers will believe in. Fantasizing is transforming the real into something unreal, like making a hitman pleasant. It upsets readers’ expectations, and so can be harder to believe. My own thought on this is that what’s fantasy and what’s fantasizing may vary from one person to another, but it’s a very important distinction to make in trying to create your combination of the familiar and the unfamiliar. I sadly don’t have time to write up everything that was said in the panel, or even everything that interested me. This particular discussion brought together two different but related subjects and made something interesting out of them. I hope that I’ve given you a taste of that.